During the launch of Nikes new Hypervenom-boot, Neymar Jr. attended the big launch-event in Rio de Janeiro, for the new boot silo, which he will be the front figure for. In connection with this, he had a little Q&A session, which you can read right here. Does the Hypervenom sound like something you might like? If so you can pre-order it right here  just 192. Interviewer:  Id like to invite Neymar to take the floor. Neymar, please come in. How are you? Neymar  Thanks, Good afternoon everyone. Int:  Youve already announced about going to Barca. You gave the great news on Saturday, but Id like you to talk a little bit about this. How did you take this decision? NJr:  It was a decision I took with my family. They helped me a lot. Its been a dream come true. Im really happy. At the same time, Im a bit sad because Im leaving my cherished team in a city where I grew up and where I played for nine years in Santos. But Im even happier to be facing a new challenge and for making a dream come true. Now, I have to enjoy every moment. Int:  You gave the news through Instagram. I believe its the first time a player gives this kind of news through Instagram. It really had to be me. Int: What is the feeling to play in one of the greatest teams in the world? NJr:  The feeling is like having butterflies in my stomach. Int:  You still feel it? NJr:  I still feel it. Ill be fulfilling my dream to be playing with great players, like Messi, Xavi, Iniesta, Daniel Alves, Adriano and others who are in the team. So, Im anxious to get there, but now we have to focus on the Confederations Cup, that is more important at the moment and to win the title for Brazil. Int: I wish you all the luck. Really. I hope your talent keeps on being seen as weve been seeing it. Lets talk about the boot - Is it true that you took part in the design process? NJr: - I talked with Nike about design, wore some models, some prototypes until it fitted properly and featured what I wanted. Its a very comfortable football boot. I like boots that are comfortable. Better for fit and touch as well. Int: Do you remember how was one of your first conversations with the Nike guys? NJr:  I went to their office. They showed me two models and showed me this one, which I found really beautiful. There were other colors as well, but I cannot talk about it (!) But I also gave some color suggestions. It was a great conversation. I like colored boots. I always loved it, so it was a nice, a good conversation that resulted in this wonderful boot. Int: Have you been to Nikes headquarters in the United States? NJr:  I went to Portland. They have great facilities there. I even played football with the employees in their lunchtime game. We had fun there. It was wonderful. Int:  Great. Now Id like to know about something more specific. When you talked to the designers, what did you ask them to include here? NJr:  I said that it should be comfortable and improve my game. It cant be just beautiful and not comfortable. So they managed to make it beautiful and comfortable and with more technology - so this helped me a lot. Int:  Right. Cristiano Ronaldo is Mercurials face. Iniesta represents CPR 360, Piqué and Ronadinho with Tiempo, and now you represent Nike Hypervenom. How s that? NJr:  Just to be in the same level as these great players, it already makes me proud of myself. Its an honor to be part of this team, innovating with a new football boot. And now I hope the boot plays by itself and scores goals for me. And that it helps me out. Int:  Now youve talked about it, I want to know about Confederations Cup, are you ready? NJr:  Well be training so we can play a great Confederations Cup and make everyone proud. Int:  What are your expectations for this tournament, both individually and for the team? NJr:  Individually, I always want to give the most. I want to help the Brazilian National Team the best way possible, whether is with goals, assists or even a slide tackle, whatever. All that matters is to help the team. And about the team, the important is that were united. I think that the Brazilian football is one of the best in the world. It still is and still struggles for this. We have talented players that can take Brazil to the top. Int:  Thats right. Wearing the Yellow jersey is great responsibility, even more now that the Cup will be in here Brazil. How do you feel when you wear it? Oh, the Brazilian jersey is heavy. We have to wear it as if we were playing in our home backyard. We have to honor it, we have to dribble and do whatever its possible. We have to be happy. Int: How old are you? NJr:  21 years old. Int:  21 years old! When Brazil was announced as the World Cup host, you were a lot younger than you are now. Did you dream to play for the Brazilian National Team? NJr:  I dreamt of being like Ronaldo, Ronaldinho Gaucho. Int:  Were they your idols at the time? NJr:  They have always been my references. My greatest idol  Ive always told everyone  was Robinho as he was from Santos and I was always following him, so Im a great fan. Among others, Ronaldo, Ronaldinho Gaúcho, Kaká. Many of them. Int:  Will you keep on posting fun pictures on Instagram? You have more than a million followers. I cant live without posting pictures. Int:  My friend, congratulations for all youve been doing. I know youll do a lot more. It was an honor and a pleasure to talk to you. And good luck. NJr:  Thank you. Im a great fan of yours. Really. Thanks everyone. Int:  Thank you. Thank you guys. Neymar is leaving. Now I thank you all. Lets root for Brazil in the Cup. Thank you. Bye bye. 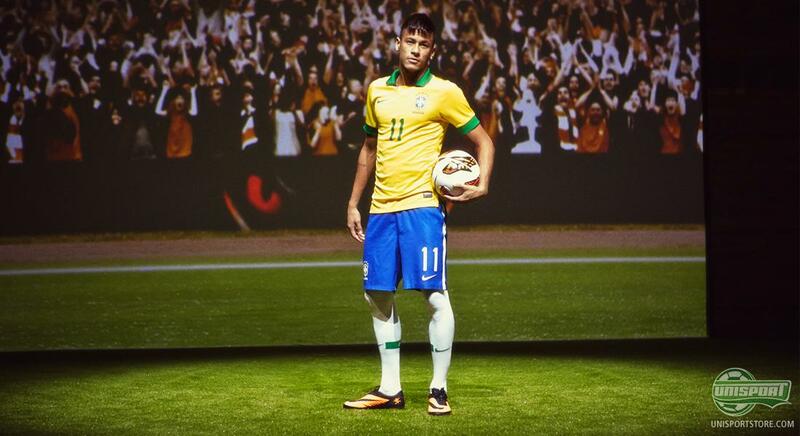 What do you think about Neymar, as the face of the brand new Hypervenom-silo? Is it nice that he has finally established himself as one of the big Nike athletes? 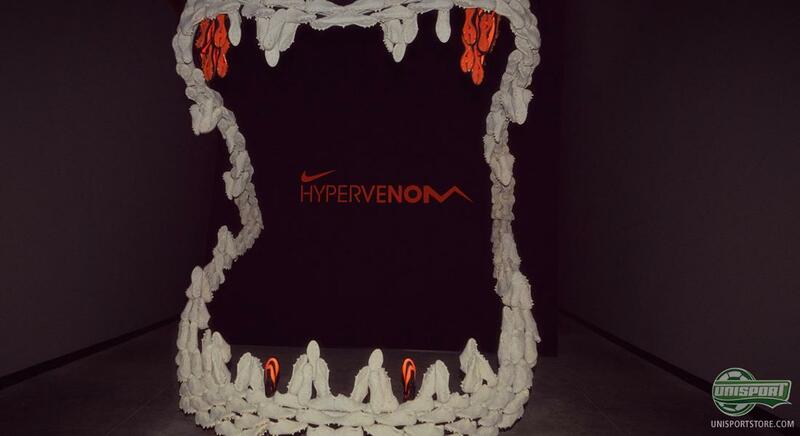 And what do you think about the Hypervenom? Share your thoughts with us in the box down below and join the debate on Twitter and Facebook.